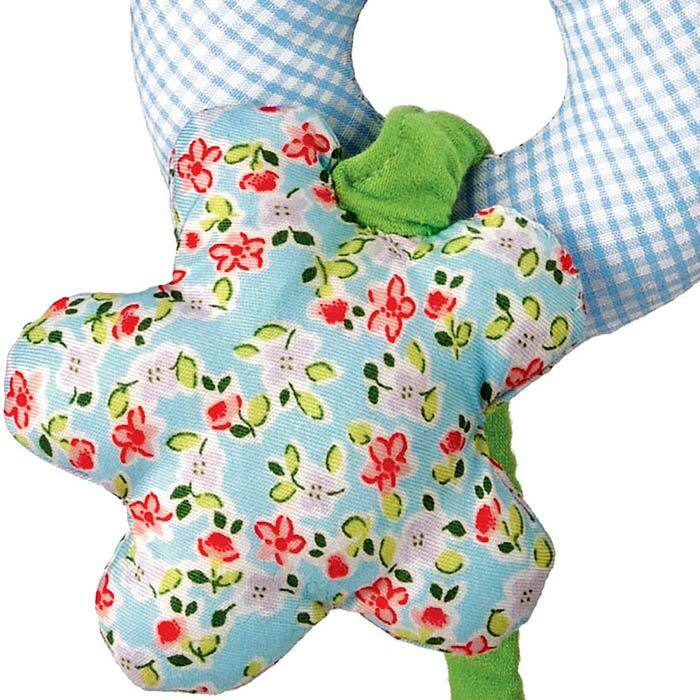 Bunny Rucola likes to swing and balance with the flower as part of this mini mobile that attaches to a car seat or stroller with the Velcro fastener. 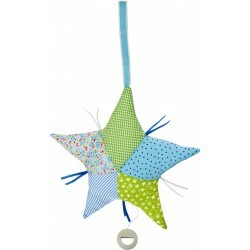 A mobile attracts a baby's curiosity and encourages reaching and finger play. 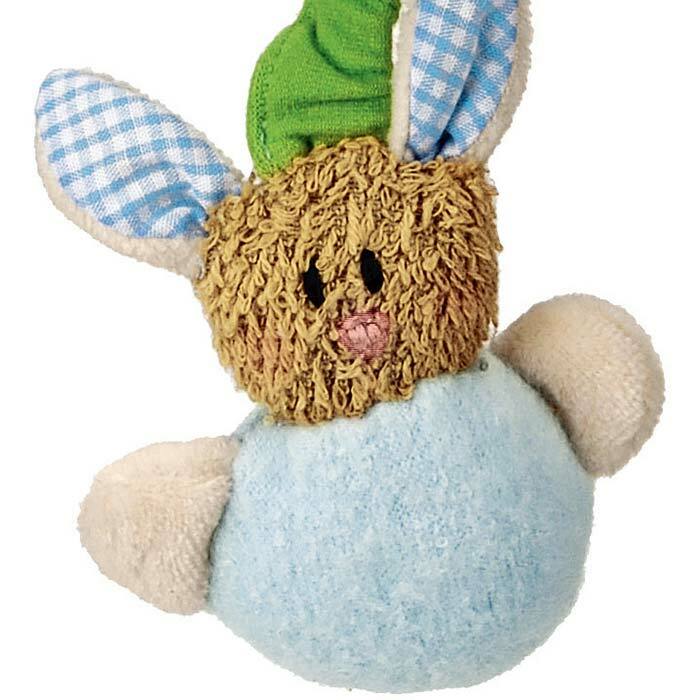 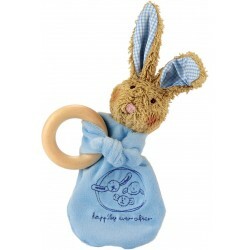 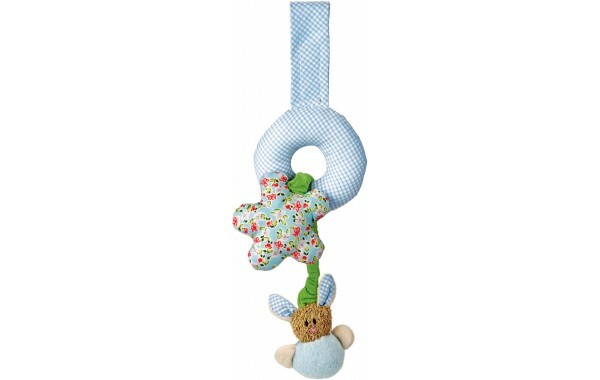 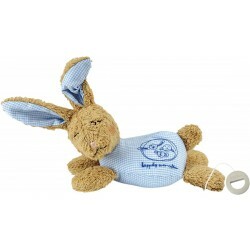 This Bunny Rucola mobile features an internal jingling rattle and is made of cotton fabrics stuffed with fiberfill.